Trophy Skin’s at-home microdermabrasion device is simple to use and provides instant results. The MicrodermMD is safe for all skin types and as someone who has sensitive skin, I can attest to that. What exactly is microdermabrasion? If you haven’t had a treatment in the past, you will be surprised at what it does for your skin. With its diamond tip, this device safely buffs your skin, taking away dead skin and leaving your skin smooth and radiant. By exfoliating your skin, fine lines are reduced and in many cases they are erased. The dead cells that are buffed away also cause your skin to look dry and lifeless. This gentle exfoliation machine leaves your skin with a smoother texture that looks refreshed. What makes this unit special is that it can be set on an auto mode or manual with different levels and a timer that lets you know how much time to spend on each area. 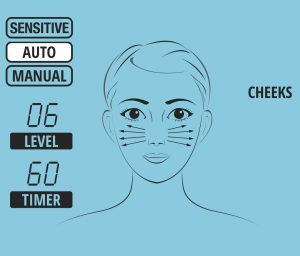 And with the LCD screen, the device shows you in which direction to swipe the wand on various areas: forehead, eyes, cheeks, nose, chin, and even your neck and chest. When your skin is free of dead skin cells and buffed, you immediately look younger and refreshed. I particularly like using it around my mouth to buff the skin near my lips and improving the texture while minimizing those pesky fine lines that make putting on lipstick or gloss smoothly a little difficult. It definitely smooths out the skin. And speaking of pesky fine lines, most of us have them on our foreheads. Try this device for a few weeks and see if they are smoothed out of your own forehead. It really does work. 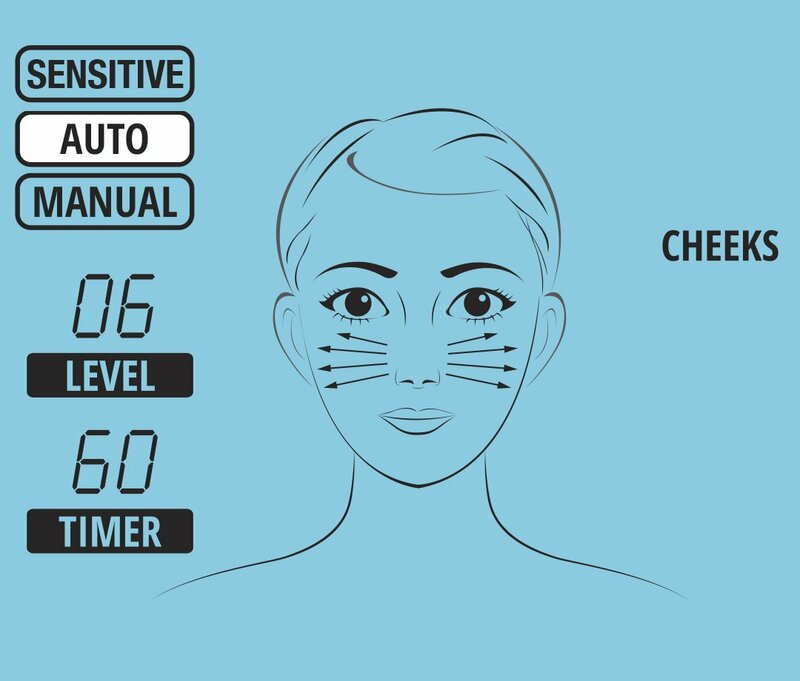 The MicrodermMD comes with 100 filters, a diamond tip, a pore extraction tip (for clogged pores), the unit itself, as well as a user manual and a handy DVD that takes you through everything the device can do. I highly recommend viewing the DVD and reading the manual before using the unit. Also included is an infusion tip that easily inserts onto the wand and presses your serums or lotions deeper into your skin than simply rubbing them on, thus getting the most out of your skincare products. Once you use this unit, you will see your face has a brighter glow that looks revitalized. And instead of going to a spa for a treatment, you can now perform microdermabrasion safely on yourself in the comfort and privacy of your own home. There is a 60-day return policy so you have nothing to lose by trying it for yourself. This unit was sent to me a while ago to test for review. I have used it and will continue to use it as it does everything the company says it will do.